Over the past month we have seen a number of examples of people seriously injuring themselves and others with fireworks and firearms in what are essentially accidents. With respect to the fireworks accidents, it makes sense to see an increase around this time of year due to the Fourth of July holiday and other summer holidays in which fireworks are used. There was of course the notable incident when a 22-year-old man placed a loaded pyrotechnic motor shell and tube on his head with one had and lit lighter in the other. While witnesses said he was only joking and did not mean to light the firework, he was killed in this accident nonetheless. As our Boston personal injury attorneys can explain, just because something was an accident doesn’t mean it was not also negligent. If someone engages in negligent behavior and another person is injured or killed, that person may have a basis to file a personal injury lawsuit against defendant. While fireworks are one example, we have also seen similar accidents involving people negligently using firearms. 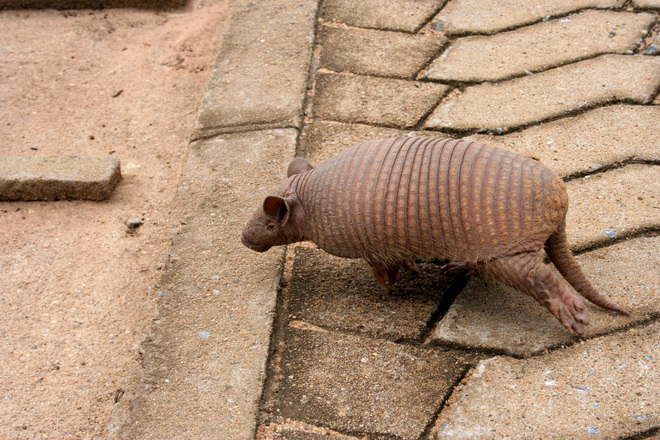 According to a recent news article from the Washington Post, a man was seriously injured while trying to a shoot an armadillo in Texas. Authorities say the man saw an armadillo on his property and went to got his .38 caliber revolver and aimed at the animal and shot it. This incident occurred around three in the morning. His wife said he went outside with his gun and fired three times. Authorities say on the third shot, the bullet ricocheted back off the armadillo’s hard shell and hit the man in the face. The bullet apparently went through his jaw and caused serious personal injury. When authorities arrived at the property, they determined the injury was severe enough for him to need a medical evacuation helicopter to take him to a level-one trauma center, where surgeons controlled the bleeding and wired his jaw shut. One of the reasons an injury to the jaw can be so serious is because there are a lot of blood vessels and nerves in the area, and this causes a lot of bleeding, pain, and complications. Local authorities asked him why he tried to shoot the animal, since people do not often shoot them in the middle night, and he allegedly responded that he had seen the animal previously on the highway, and this, for reasons he did not explain, made him get his gun and shoot the armadillo. Incidentally, this was apparently not the first ricocheted bullet injury during an attempt to shoot an armadillo this year. A man in Georgia was allegedly trying to shoot an armadillo, but the bullet ricocheted off the armadillo and hit his mother in law who was in a nearby trailer. In that incident, the armadillo was killed, but the shooter’s mother in law survived, and the police decided, since it was an accident, no charges were filed. In this most recent case, there has not been information reported as to whether the armadillo was killed our not when it was shot with the .38 caliber revolver.